Your Rheem® product was built to last. But even the best products can be affected by outside factors like air or water conditions, environmental concerns, and yes, even issues in the manufacturing process. So we back our equipment with some of the best warranties in the business. And we’ve made it easy to register your Rheem products so you can receive the full benefits of their warranties. Please standby as we redirect you over to our sister company, Raypak, which manages all pool and spa warranty registrations. Registering your Rheem products allows you to access included warranty benefits, opt to extend warranty coverage and take advantage of other valuable Rheem support services. Have your product serial number handy, then select Water Heating, Heating & Cooling, or Pool & Spa (we’ll redirect you to Raypak.com to finalize your registration) to begin the quick registration process. If you’ve already registered your Rheem product and would like to verify your warranty terms and coverage, click the applicable product category to the right to get started. Your serial number is required for verification. To obtain warranty service, contact your local Rheem Pro. It’s a good idea to have your product serial number ready when you call. 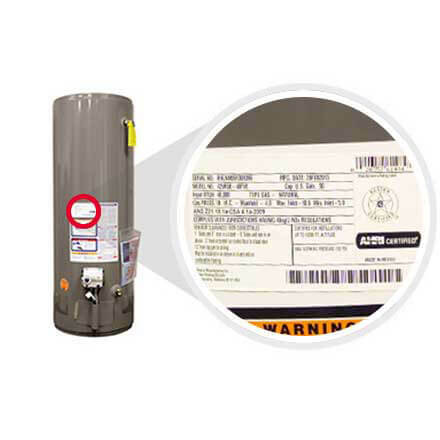 The label containing model and serial number information can be found on the front of a tank-type water heater. 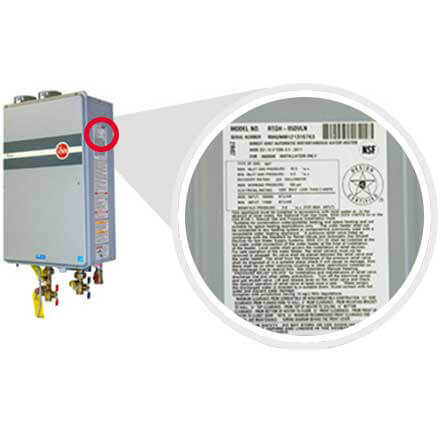 The label containing model and serial number information can be found on the front or on the right hand side of a tankless water heater depending on the model. 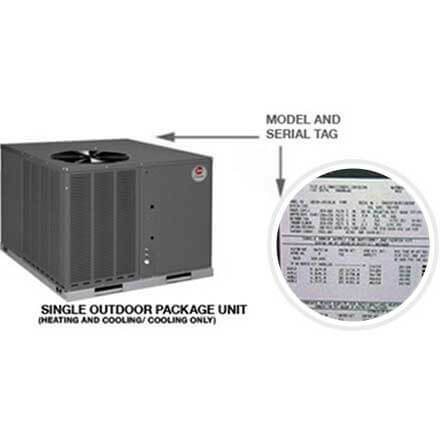 The label containing model and serial number information can be found on the back of the outdoor unit and on the inside front cover of the indoor unit. Two model and serial tags identify split system equipment. 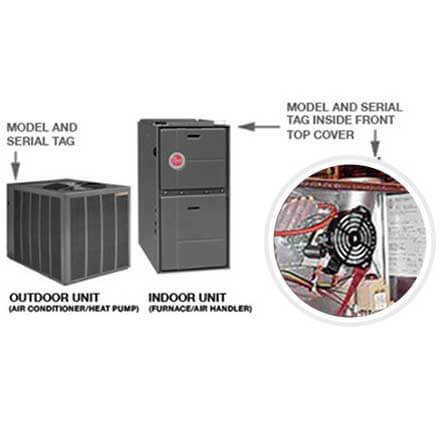 One model and serial number tag is used to identify Package System equipment. The tag is located on the outside corner of the unit. One model and serial tag identifies package equipment.